wahidasamsuddin Glad that you like the fairy lights as much as I do! 💕✨ Pleasant transaction with you! @babytulipss is on Carousell - Follow to stay updated! Vouchers are valid until 31 Dec 2018. TnC as attached. 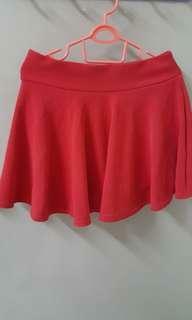 Selling at RM5. Only need to pay postage fee. 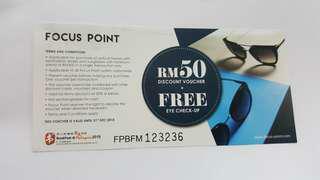 FOCUS POINT RM50 Discount Voucher + FREE check up Two vouchers available on hand. Selling at RM5 each. Only need to pay postage fee. Vouchers are valid until 31 Dec 2018. 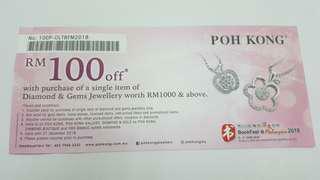 POH KONG RM100 off discount vouchers with terms and conditions applied as attached. Two vouchers on hand. 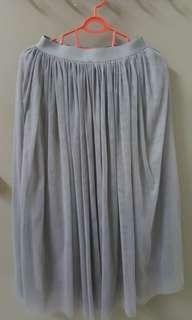 Selling at RM10 each. Only need to pay postage. Vouchers are valid until 31 Dec 2018. 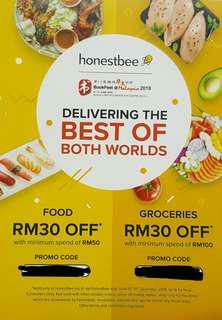 Honestbee Promo code available for FOOD or GROCERIES delivery. Refer to Terms & Conditions as attached. I will reveal the Promo code to you once payment done. 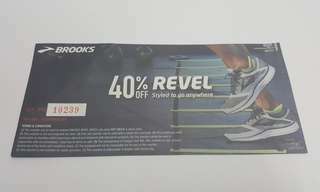 40% off for BROOKS REVEL SHOES. Terms & conditions are attached in the photo. I have two vouchers on hand now. 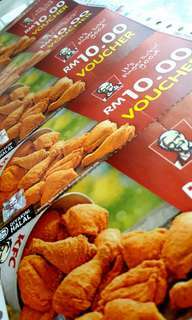 Have you had KFC this month? 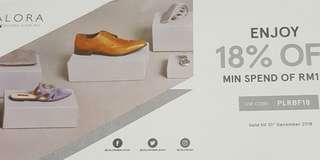 Valid Until 31 July 2018 - T&C as attached Limited stock - Act Now! 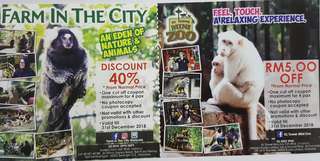 40% discount for Farm In The City + RM5 Off for KL Tower Mini Zoo. Vouchers are valid until 31 Dec 2018. Two vouchers are available on hand. Selling at RM5 each. Only need to pay postage fee.